2018: Amnesty International recorded at least 690 executions in 20 countries in 2018, a 31% decline from 2017 and a 58% decline from the 1,634 reported executions in 2015. It was the fewest executions recorded by Amnesty in the past decade. As in previous years, that total does not include the estimated thousands of executions carried out in China, which treats data on the death penalty as a state secret, and unrecorded executions in countries such as Iran, Vietnam, Iraq, and Egypt. Just four countries – Iran, Saudi Arabia, Viet Nam and Iraq – accounted for 78% of all reported executions. The United States ranked 7th in documented executions (25) in 2018. Amnesty recorded at least 2,531 death sentences in 54 countries, down 2% from the 2,591 reported in 2017 and 19% from the reported 3,117 death sentences imposed in 55 countries in 2016. The U.S. ranked 12th in death sentences imposed, although death sentences may have been higher in Iran, North Korea, and Saudi Arabia, for which death sentencing totals were not known. Amnesty reported that at least 19,336 people were known to be on death rows around the world at the end of 2018, a 12% decline from the 21,919 people known to be on death row globally at the end of 2017. View the full Amnesty 2018 report here, Amnesty's summary of the report here, and Amnesty's 2018 Facts and Figures here. 2017: Amnesty International recorded at least 993 executions in 2017, a 4% decline from 2016 and a 39% decline from the 25-year-high total of 1,634 reported executions in 2015. 23 countries were known to have carried out judicial executions in 2017. As in previous years, the execution total does not include the estimated thousands of executions carried out in China, which treats data on the death penalty as a state secret. Four countries—Iran, Saudi Arabia, Iraq, and Pakistan—accounted for 84% of the confirmed executions in the rest of the world in 2017. The same four countries accounted for 87% of the world's confirmed executions in 2016. The United States dropped to 8th in documented executions (23) in 2017, surpassed by Somalia's total of 24 reported executions. However, the U.S. may also rank below Vietnam, which also keeps its execution information secret. Amnesty recorded at least 2,591 death sentences imposed in 53 countries worldwide in 2017, down 17% from the reported 3,117 death sentenced imposed in 55 countries in 2016. The U.S. ranked 11th in death sentences imposed. Amnesty reported that at least 21,919 people were known to be on death rows around the world at the end of 2017. View the full Amnesty 2017 report here, Amnesty's summary of the report here, and Amnesty's 2017 Facts and Figures here. 2016: 23 countries were known to have carried out judicial executions in 2016. At least 1,032 executions were carried out in 2016, a 37% decrease from the previous year. As in previous years, this figure does not include the estimated thousands of executions carried out in China, which treats data on the death penalty as a state secret. Four countries—Iran, Saudi Arabia, Iraq, and Pakistan—were responsible for 87% of the world's confirmed executions in 2016. The United States ranked 7th in documented executions (20) in 2016. However, the U.S. may actually rank behind Vietnam, as well. A report of the Vietnam Ministry of Public Security that became public in February 2017 revealed that the country secretly executed 429 prisoners between August 6, 2013 and June 30, 2016. As a result of improved data collection, Amnesty was able to document that at least 3,117 people were sentenced to death in 55 countries in 2016. View the full Amnesty 2016 report here and Amnesty's summary of the report here. 2015: At least 25 countries were known to have carried out judicial executions in 2015. At least 1,634 executions were carried out in 2015, the highest number in 25 years. This figure does not include the thousands of executions that were believed to be carried out in China. Beginning in 2009, Amnesty International ceased to publish minimum figures for the use of the death penalty in China, where such statistics are considered to be state secrets. 89% of all recorded executions in 2015 took place in 3 countries: Iran, Pakistan, and Saudi Arabia. The United States ranked 5th in documented executions (28) in 2015. However, the U.S. may actually also rank behind Vietnam. A report of the Vietnam Ministry of Public Security that became public in February 2017 revealed that the country secretly executed 429 prisoners between August 6, 2013 and June 30, 2016. At least 1,998 people are known to have been sentenced to death in 2015, a decrease compared to 2014. View the Amnesty 2015 report here. 2014: At least 22 countries were known to have carried out judicial executions in 2014, the same as in 2013. At least 607 executions were carried out in 2014. This figure does not include the thousands of executions that were believed to be carried out in China. Beginning in 2009, Amnesty International ceased to publish minimum figures for the use of the death penalty in China, where such statistics are considered to be state secrets. The United States ranked 5th in documented executions (35) in 2014. However, the U.S. may actually also rank behind Vietnam. A report of the Vietnam Ministry of Public Security that became public in February 2017 revealed that the country secretly executed 429 prisoners between August 6, 2013 and June 30, 2016. At least 2,466 people are known to have been sentenced to death in 2014, an increase of 28% compared with 2013. The increase was mainly due to large numbers of death sentences in Egypt and Nigeria, where mass sentences were imposed in single cases with large numbers of defendants. View the Amnesty 2014 report here. 2013: At least 22 countries were known to have carried out judicial executions in 2013. At least 778 executions were carried out in 2013. This figure does not include the thousands of executions that were believed to be carried out in China. Beginning in 2009, Amnesty International ceased to publish minimum figures for the use of the death penalty in China, where such statistics are considered to be state secrets. The United States ranked 5th in documented executions (35) in 2015. However, the U.S. may actually also rank behind Vietnam. A report of the Vietnam Ministry of Public Security that became public in February 2017 revealed that the country secretly executed 429 prisoners between August 6, 2013 and June 30, 2016. View the Amnesty 2013 report here. 2012: At least 21 countries were known to have carried out judicial executions in 2012. At least 682 executions were carried out in 2012. This figure does not include the thousands of executions that were believed to be carried out in China. Beginning in 2009, Amnesty International ceased to publish minimum figures for the use of the death penalty in China, where such statistics are considered to be state secrets. View the Amnesty 2012 report here. 2011: At least 20 countries were known to have carried out judicial executions in 2011. At least 676 executions were carried out in 2011. This figure does not include the thousands of executions that were believed to be carried out in China. Beginning in 2009, Amnesty International ceased to publish minimum figures for the use of the death penalty in China, where such statistics are considered to be state secrets. View the Amnesty 2011 report here. 2005-2010: At least 23 countries were known to have carried out judicial executions in 2010. At least 527 executions were carried out in 2010. This figure does not include the thousands of executions that were believed to be carried out in China. Last year Amnesty International decided not to publish minimum figures for the use of the death penalty in China, where such statistics are considered to be state secrets. View the Amnesty 2010 report here. Eighteen countries carried out executions in 2009. Amnesty International documented the executions of 714, but this total does not include figures from China where the majority of the world's executions take place. The real global total is significantly higher. The five countries with the most executions are Iran (388+), Iraq (120+), Saudi Arabia (69+), the United States (52), and China, which executed more people than the rest of the world combined, according to same report by Amnesty International. In 2008, at least 2,390 people were executed in 25 countries around the world and 8,864 people were sentenced to death in 52 countries. Amnesty International reports that executions almost doubled in number from 1,252 in 2007. Ninety-five percent of all known executions were carried out in only six countries: China, Iran, Saudi Arabia, the United States, Pakistan and Iraq. In 2007, a minimum of 1,252 people were executed in 24 countries and at least 3,347 people were sentenced to death in over 50 countries. Just five countries - China, Iran, Saudi Arabia, Pakistan and the USA - carried out the overwhelming majority (88%) of known executions in the world last year. In China execution figures are a state secret meaning their total number of executions could be much higher. In 2006, there were 1,591 executions around the world. Amnesty International reported that executions worldwide fell by more than 25% in 2006, down from 2,148 in 2005 to 1,591. Of all known executions that took place in 2006, 91% were carried out in six countries: China, Iran, Pakistan, Iraq, Sudan and the United States. EU Rendez-vous: The Death Penalty in the US: On the Cusp of Repeal This event was a panel discussion on the status of the death penalty in the United States. Former Executive Director Richard C. Dieter was asked to sit in on a panel to answer the question, "What is happening to the death penalty in the U.S.?" Mr. Dieter was joined by Sarah Turberville of the Constitution Project and Diann Rust-Tierney of the National Coalition to Abolish the Death Penalty. The event took place on October 21, 2014 and was sponsored by the European Union. 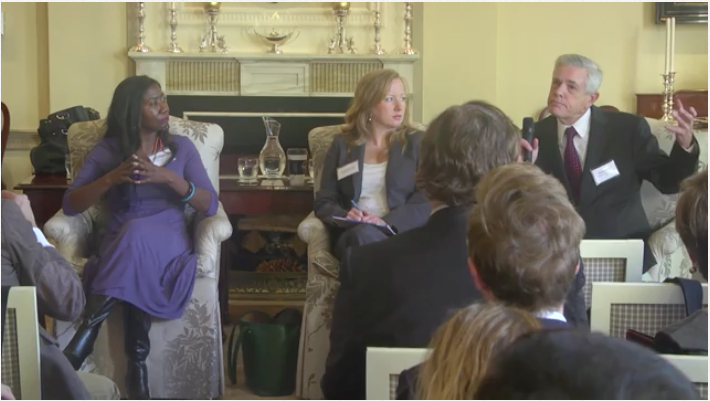 This event was held at the residence of the Ambassador from the Netherlands. The video of the event is available here. 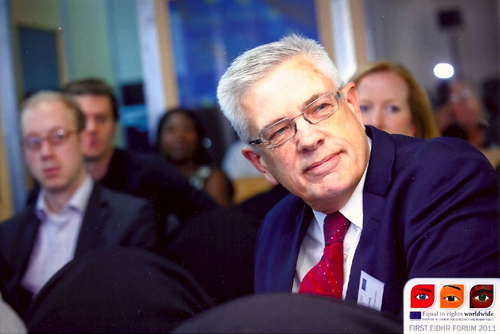 The Death Penalty Information Center's Richard Dieter, then its Executive Director, at the First European Instrument for Democracy and Human Rights (EIDHR) Forum, held in Brussels, Belgium in June 2011. "Fighting Crime in the U.S. and Internationally: Is the Death Penalty Necessary? A Unique Conversation Between U.S. and European Law Enforcement." A panel of law enforcement officials from the U.S. and Europe discussing the merits of the death penalty in reducing violent crime. The officers also addressed whether capital punishment actually helps to keep citizens safe, assists healing for victims, and uses crime-fighting resources efficiently. (National Press Club, Wash., D.C., Oct. 13, 2010). "Changing Views on the Death Penalty in the United States." 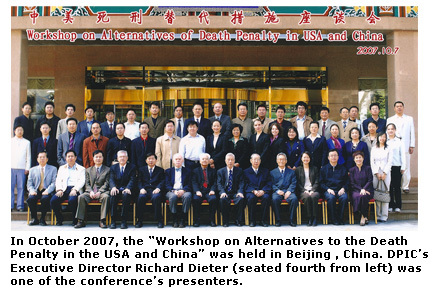 Paper delivered in Beijing, China, October 7, 2007, at the Conference on Alternatives to the Death Penalty in U.S.A and China by Richard C. Dieter. "The Status of the Death Penalty in the United States," by Richard C. Dieter, prepared for the Subcommittee on Human Rights, European Parliament, January 29, 2007. "Cross-Cultural Death-Penalty Experiences," panel presentation, remarks by Richard C. Dieter, International Leadership Conference on Human Rights and the Death Penalty, Dec. 6-7, 2005, Tokyo, Japan; published at 28 Thomas M. Cooley Law Review 23 (2011). "International Influence on the Death Penalty in the US," Foreign Service Journal, October 2003. "A Response to the Initial Report of the United States to the United Nations on the Race Convention." Richard Dieter's Ford Foundation Symposium Presentation, October 17, 2000. DPIC Report: "International Perspectives on the Death Penalty: A Costly Isolation for the US" (1999). "The United States Death Penalty and International Law: US Compliance with the Torture and Race Conventions," Richard Dieter's Ford Foundation Symposium Presentation, November 12, 1998. The Delegation of the European Union to the United States has made available to the public an online archive of European Union engagement with the United States and individual states in past death-penalty cases. The archive features letters from EU Ambassadors to the United States to the State Department, to state governors, and to pardons boards; official European Union statements and pronouncements on death penalty concerns; and amicus briefs filed by the European Union in court cases in the U.S.; among other materials. The Sixth World Congress Against the Death Penalty met in Oslo, Norway from June 21 to June 23, 2016, renewing the organization's call for a global moratorium on capital punishment. The event was attended by more than 1300 representatives from 80 countries, with participants including human rights officials from the United Nations and European Union, Justice Ministers from both abolitionist and retentionist countries, Nobel Peace Prize laureates, global death-row exonerees, non-governmental human rights organizations, attorneys, journalists, and activists from dozens of countries. 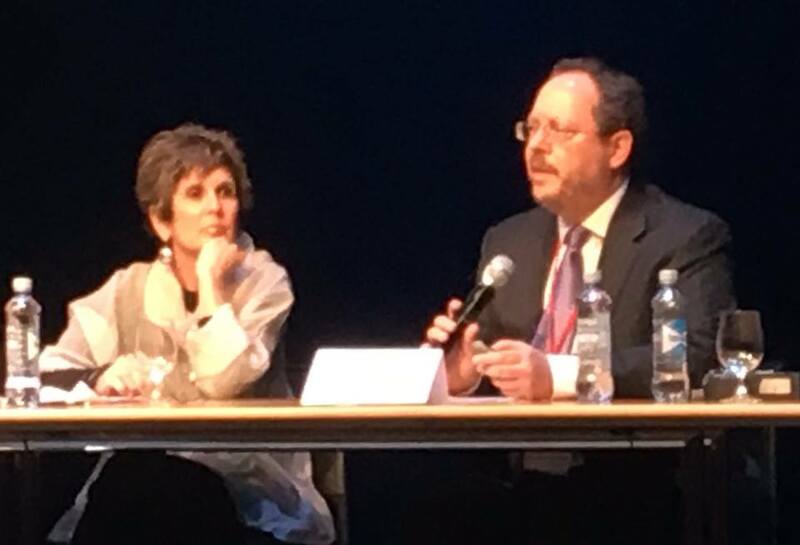 Virginia Sloan (Constitution Project) and Robert Dunham (DPIC) during their panel presentation at the Sixth World Congress in Oslo (2016). Although DPIC is not a member of any abolition organizations, Executive Director, Robert Dunham was invited to the Congress to address the state of the death penalty in the U.S. You can see the slides accompanying Mr. Dunham's presentation here and read the Final Declaration of the Sixth World Congress here. 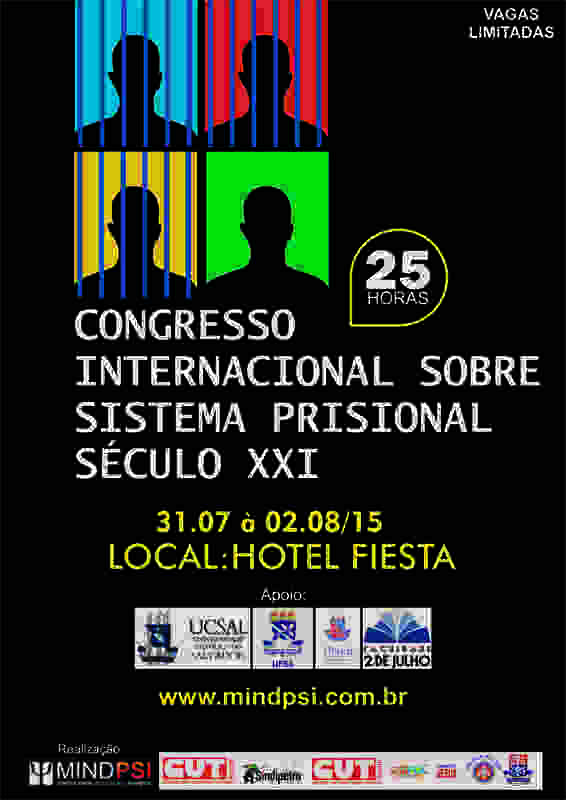 The conference was held July 31- August 2, 2015, in Salvador, Bahia, Brazil. Presenters included: Alvino de Sá, Ana Conduto, Taurino Araújo, Brent Turvey, Roger Greco, and Richard Dieter (DPIC, speaking on U.S. death penalty), among others. Click here for Mr. Dieter's presentation. On April 24, 2014, the Office of the High Commissioner on Human Rights at the UN conducted a panel on “Moving Away from the Death Penalty – Discrimination against marginalised groups.” Among the participants was Stephen Bright (l.) of the Southern Center for Human Rights. His remarks can be found here. See a video of the program. The Fifth World Congress Against the Death Penalty was held in Madrid, Spain from June 12-15, 2013. 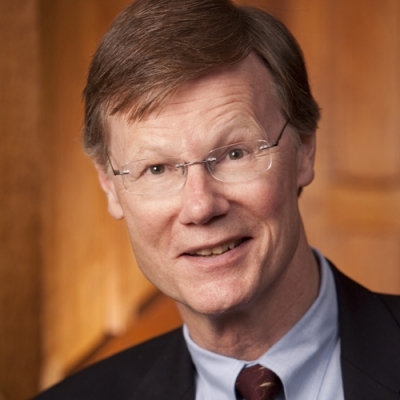 Richard Dieter, then DPIC's Executive Director, was invited to the Congress to address developments in the death penalty in the U.S. since the Fourth World Congress. Read more about the Fifth World Congress here. 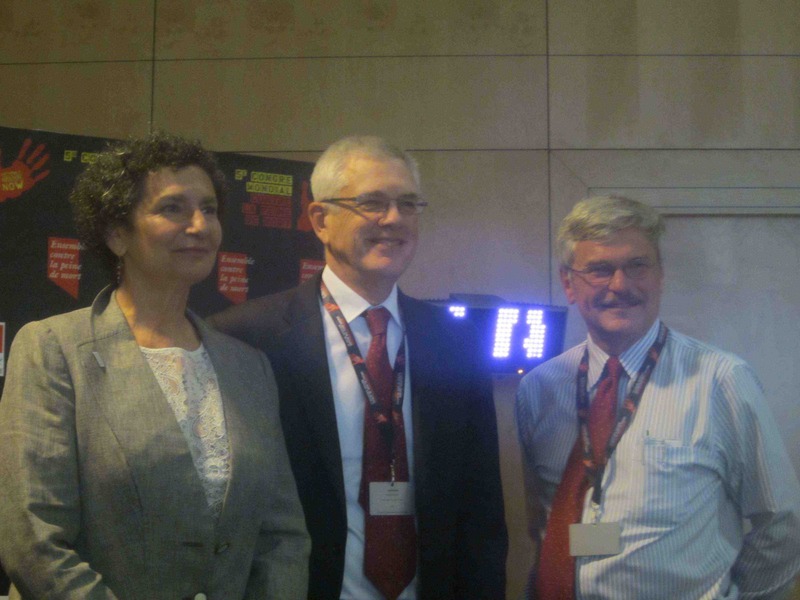 Elizabeth Zitrin, Richard Dieter (DPIC), and Michael Radelet at Fifth World Congress in Madrid (2013). The Fourth World Congress was held in Geneva, Switzerland, on February 24-26, 2010. Read Bianca Jagger's speech to the World Congress, Feb. 24, 2010. Read about the Third World Congress held in Paris, France, in February 2007. View Amnesty International's animated slideshow "Death Penalty Stories," narrated by Colin Firth, for stories about the death penalty around the world. 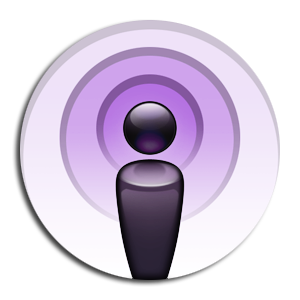 Episode 17 discusses the international context of the American death penalty, including international trends in capital punishment and how international opinion affects the death penalty in the U.S.
Click here to listen to the podcast (Running time: 8 minutes 47 seconds). See also International and Multimedia.